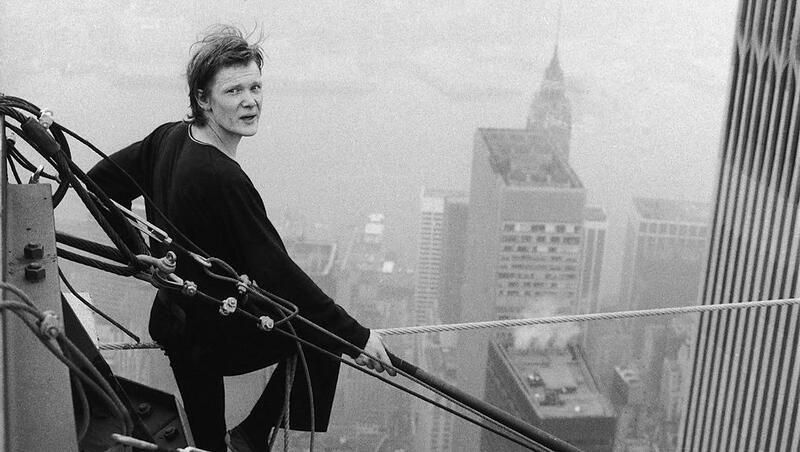 People were surprised at the failure of The Walk, the true story of how French tightrope walker Phillipe Petit made a daring walk between the Twin Towers back in 1974. It got royal reviews and has a sure-fire fascinating story. Well, allow me to be a lone negative voice when it comes to The Walk. It is not a terrible film (the final walk between the Towers a beautifully-realized sequence). 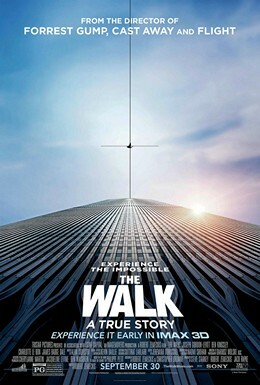 The problem with The Walk is that it is slow, and worse, really thinks that its audience is dumb. Phillipe Petit (Joseph Gordon-Levitt) loves to challenge himself, whether it is in learning the art of tightrope walking or romancing a beautiful street chanteuse named Annie (Charlotte Le Bon). His greatest ambition, a dream that would consume him for at least a year if not more, came about thanks to a dental visit. While waiting impatiently at the office, he spots an article about the rising of the World Trade Center Towers in New York City. Instantly, he sees the greatness and glory of walking between them, suspended in midair, with nothing but his skill to keep him floating above the heavens. Into his venture he ropes in various figures to help him. He first attempts a daring walk across the towers of Notre Dame Cathedral, which draws some media attention (though not the amount he thinks he deserves) and the arrest of the Paris police. This effort, which Petit calls his 'coup', will require all these various 'accomplices', including his mentor, Papa Rudy (Ben Kingsley), all of whom either fully support or tell him he is bonkers (mostly the former). He gets more accomplices in New York, and the driven, perhaps insane figure finally gets things going by going to the yet-incomplete tower to do his daring act. That Daring Young Man on the Flying Trapeze meets many but many obstacles, but finally, after overcoming many but many obstacles, Petit finally walks across the Towers. He does draw a crowd of shocked/delighted onlookers, and the fear and ire of the NYPD. He crosses several times, once even lying down on the high-wire, until a vision tells him to go and end his taunting of the sky. He is promptly arrested, but the NYPD and construction crew cannot help but admire the chutzpah of this 'frog'. As we end The Walk, Petit tells us that the pass he received to go to the observation area had the expiration date scratched off by the builders. In its place was written, "Forever"...which we all know ended on a clear September day. With such a fascinating story sure to pull at our heart, why then did I find it such a horror? It goes back to that 'Zemeckis thinks the audience is dumb' business. One of the things that I have found exceptionally irritating in movies is when you get voice-over narration telling you what it should be showing you. That in itself is already bad enough because few films manage to pull off that feat (Sunset Boulevard and Blade Runner being two good exceptions). What makes The Walk worse is that Petit not only narrates what is going on but the film SHOWS us what he is narrating at the same time. That to me was simply infuriating. It tells me that Zemeckis and Company simply did not trust the story to reveal itself to us, to let the audience in on the magic and wonder of this daring feat. Instead, we are treated to a nearly endless running commentary by Petit about how things were going when we SEE exactly what he is talking about. It might just be better to watch Man on Wire, the documentary about Petit's act of (brave/foolishness) if one wanted to get a virtual play-by-play. Add to this the fact that JGL, one of finest actors in his failed Oscar bid via biopic, apparently sounding like he was dubbed by Pepe Le Pew and it makes things more disastrous. I love Gordon-Levitt, and it's nice to hear him speak his flawless French, and yes, there is a logic to his accent (many times he asks people to speak English to practice it when he gets to New York), but it still comes across as too forced, as if Gordon-Levitt felt he needed to show how much of an actor he is by employing this strong (I'd call it forced) accent. In other matters, The Walk really does not make the case as to why we should even care for Petit and his group of 'conspirators', particularly because they don't have any outstanding personalities, any sense of who they are or why they would go along with this simply insane idea. As far as I can make out, none of these people existed outside Petit. They almost seem to be there just to serve him, not to be part of a greater plan. In truth, the only redeeming quality to The Walk is when we actually get to THE walk across the Towers. Up to the moment Petit shifts his foot off the safety of the tower and onto the wire, the film kind of slogs through. Once we get to the actual event itself, The Walk lifts itself into a breathtaking moment of wonder. Acrophobics should hold on to something when we get to this moment, because it is at this point that The Walk suddenly comes alive in full and terrific and terrifying glory. Even that, however, is wrecked by Zemeckis' decision to go a little mystical, suggesting that Petit decided to finally end his act of daring-do because a dove (perhaps the Spirit of the Towers) was beginning to show its anger at being taunted so. Rephrasing a line from Auntie Mame, couldn't he have simply said it started to rain? Despite JGL's best efforts, Petit came across as annoying and obnoxious rather than possessed and joyful. His crew came across as so many idiots willing to do The Master's bidding (even Papa Rudy, who as a mentor appeared to be working for Petit rather than the other way round). Zemeckis took too many flights of fancy (pun unintended), and what should have been a fascinating and thrilling story became instead a dull exercise. At a certain point, when we see a fantasy of one of his accomplices, who happens to suffer from acrophobia, falling to his death, I was officially done with The Walk. Mercifully, I finished the film and was rewarded with a great visual feast of Petit's feat. My recommendation is to either watch Man on Wire or skip onto the final walk of The Walk to get a great film about this amazing moment.